When you need a trustworthy babysitter in Charlotte, don’t hesitate to give us a call. If you are a busy parent, you know how stressful it can be to find a babysitter for your children. You need someone who is trustworthy, reliable, and well-trained to be with your children while you take care of other responsibilities, but you may not know who to call in these situations. Out team at Fiv5 Star Cleaning is happy to offer professional babysitting services in addition to our great cleaning services to help make your life easier in Charlotte, North Carolina. Whether you have to work late, need a break, or have planned a date night, we’ve got you covered. You can trust our staff to take good care of your children while you are away because each member of our team is well-trained. Not only are we a trustworthy company with a variety of professional services, but we also strive to provide our services in a personal, friendly way. Each of our services is designed to make your life easier, whether you need babysitting, cleaning, ironing, dog walking, or other services. Sometimes getting a babysitter can simply help you get the free time you need to accomplish any tasks that have built up over time. No matter the reason why you need a trustworthy babysitter, call our team at Fiv5 Star Cleaning. Our staff works hard every day to provide you with the services you need. If you are in need of a friendly, professional babysitter in Charlotte, don’t wait to give us a call! 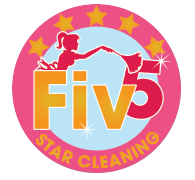 At Fiv5 Star Cleaning, we can help if you’re looking for a babysitter in Charlotte, Concord, Cornelius, Gastonia, and Mooresville, North Carolina, as well as Rock Hill, South Carolina.